Professor Philippos Pouyioutas Vice Rector Dr Emilios Solomou Vice President for Administration University of Nicosia Santiago De Compostela, Spain, DIBCDPE. 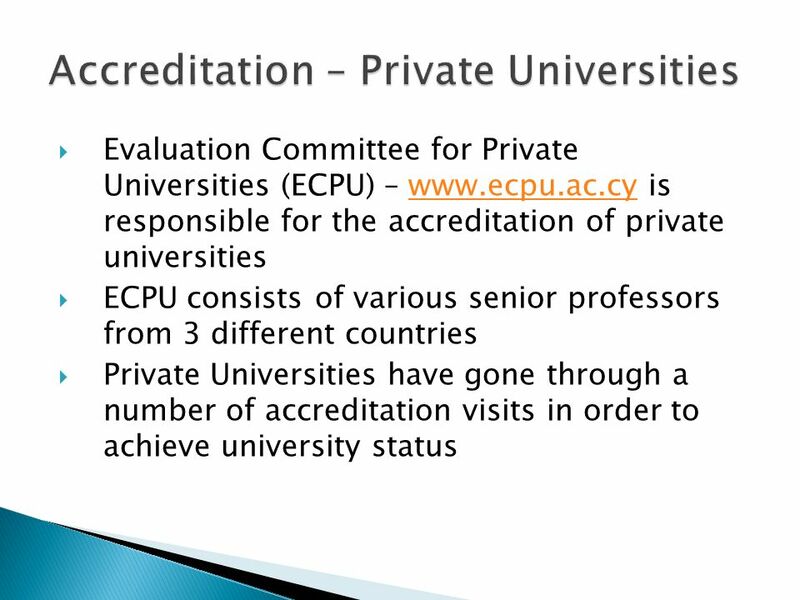 Download ppt "Professor Philippos Pouyioutas Vice Rector Dr Emilios Solomou Vice President for Administration University of Nicosia Santiago De Compostela, Spain, DIBCDPE." 1 The European Standards and Guidelines and Quality Assurance in the SEE region - opportunities and challenges The Case of Cyprus Elpida Heracleous For. Prof. V.J. Papazoglou on behalf of the Hellenic Quality Assurance Agency for Higher Education (HQAA) ENQA Seminar on Current Trends in the European Quality. 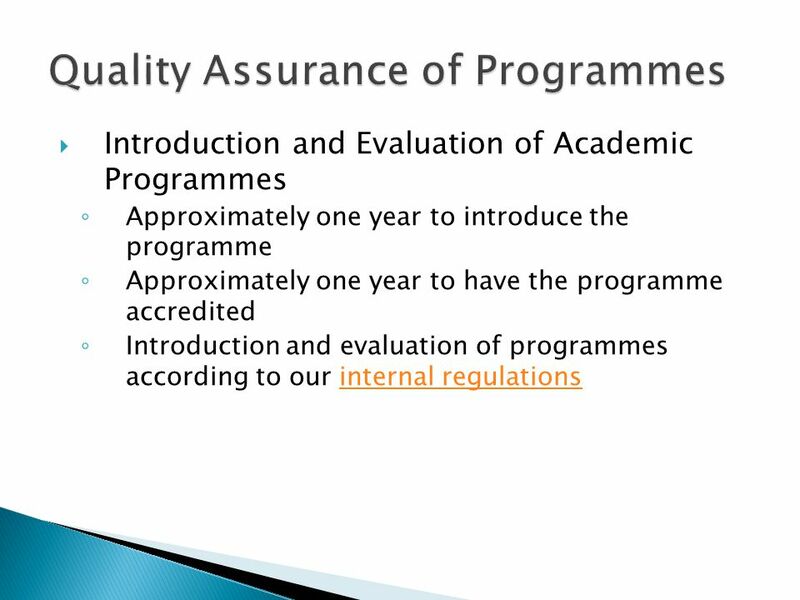 Joint Degree Programmes: QA across national borders – ideas and strategies Nick Harris Quality Assurance Agency for HE UK. “Articulating the work on NQF, QA and recognition ” JULY 2008, Cetinje. 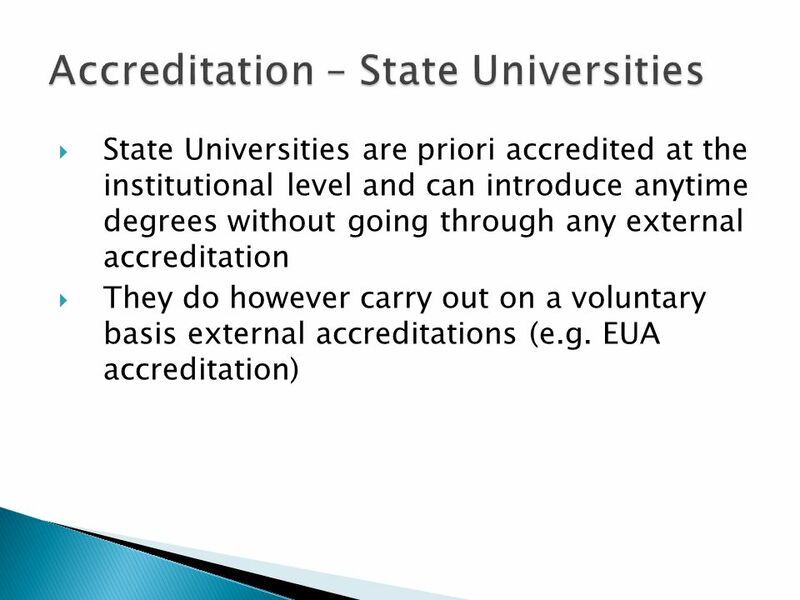 Irish Universities Quality Board Internal Quality Assurance at Universities: The Irish perspective Dr Padraig Walsh Chief Executive Irish Universities. Federation of Chiropractic Licensing Boards 77th Annual Congress Orlando, Florida Accreditation 101 & Panel Discussion Saturday May 3, :00 – 10:00. European University Association By Nureddin Kırkavak & Mohammad Mesgarpour Department of Industrial Engineering. 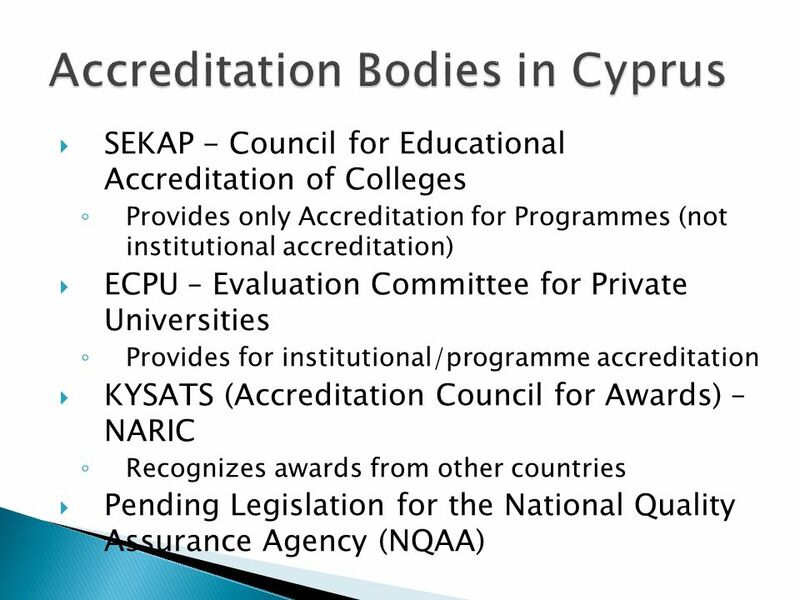 Quality Assurance in practice: the example of Cyprus Elpida Keravnou-Papailiou President of the Governing Board of Cyprus University of Technology and. 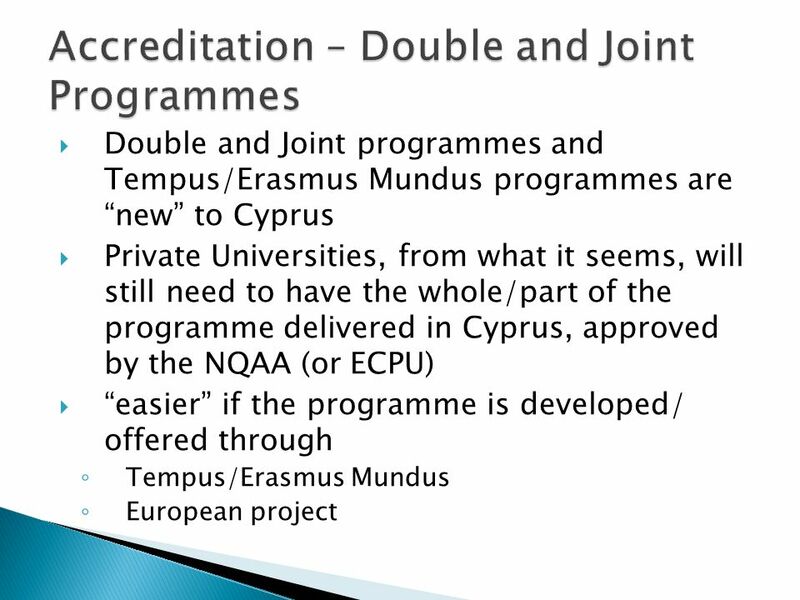  ERASMUS MUNDUS Quality assurance of joint degree programmes  ERASMUS MUNDUS 2006, EUA: Quality Assurance in Joint Master Programmes: European Masters. Bologna Process in Finland (Observations on the Bologna Process in Russia) Dr. Carita Blomqvist Head of Unit Recognition and international comparability. 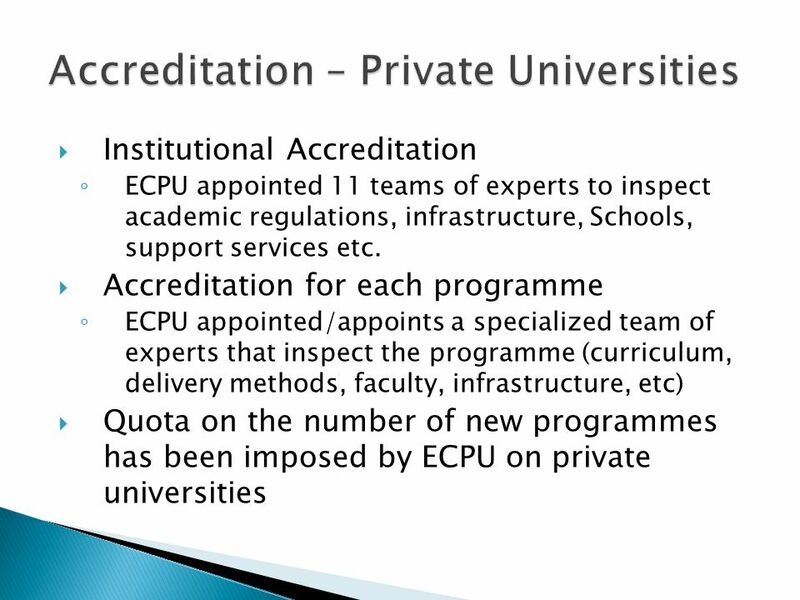 Quality assurance in higher education in Croatia – standards, procedures, results Đurđica Dragojević & Emita Blagdan Agency for Science and Higher Education. Mobility Joint Degrees Bologna Promoters Seminar in Dubrovnik, 30 June 2005 Vera Stastna Ministry of Education, Youth and Sports.